Excessive, consistent tire noise is not only an annoyance. It can considerably disrupt the conversation, affect concentration, and even cause a headache. 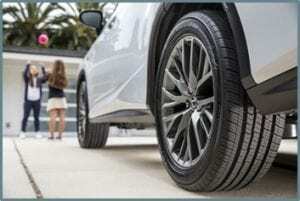 Having a quiet set of riding tires is therefore the priority for many car owners when shopping for new tires. That can make a world of difference in the overall driving experience. Most manufacturers make every effort to produce heavy-duty tires that can perform well in any weather condition. However, they often neglect the noise performance (Source). Despite the fact that this is a big concern for many drivers, there is no noise standard regarding riding tires to comply with. So, how to recognize noisy and quiet tires? Worry not, we have compiled a comprehensive list. Goodyear is a world famous brand of top-quality tires, so we think it’s really not necessary to introduce it. This type of tire is known for high-quality on and off-road traction while being very quiet when mounted on trucks and SUVs of all kinds. Compared to other tires on the market, Goodyear Wrangler radial tire provides the outstanding traction in both wet and dry road conditions. That’s because of the optimized tread design which increases traction in different conditions. Aside from all-terrain traction, these tires are also known for confident handling. There are big tread blocks which deliver a reliable handling and stable footprint. The Optimo H724 by Hankook is an all-season tire that features a low noise level among other things. It is all about the center rib block which improves stability and handling when changing direction. In addition, it also improves adherence on a variety of driving surfaces. The pitch design technology considerably decreases tire noise by getting the tires to spin rapidly at even the very fast speeds. Plus, the jointless cover increases the brake performance and overall durability. There is also a bead filler that makes sure the tire provides resistance in just about any weather. The bead wire actually makes the tire more responsive and enhances vehicle ride. 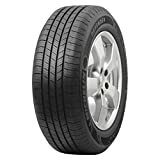 This all-season radial tire is tailored for crossovers, SUV’s, and light trucks. As a matter of fact, the Bridgestone Dueler represents a good selection of equipment for sport-utility vehicles. It’s designed specifically to be extremely quiet at slow speeds while providing exceptional wet weather traction at the same time. That means you can drive with peace of mind even in bad weather. Moreover, you can be certain that you’ll enjoy the quiet and smooth ride most of the times with these tires. Of course, this mostly depends on the road conditions. This is possible thanks to the rounded casting profile of the tire as well as crafty notches. This is a durable and decent serrated radial tire that can be surprisingly quiet; however, this is not a case at considerable speeds. 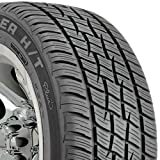 Even though it isn’t as tranquil as some other models on this list, the Goodyear Fortera is surely one of the best types of tires in terms of quality and durability. While you should not expect it to maintain the calm nature at higher speeds, you can expect a smooth and comfortable ride otherwise. With a load index of 107, tire aspect ratio of 50, and a T-118 speed rating, this tire is meant to offer a warranty of approximately 60,000 miles. By most standards, this is quite impressive. Although primarily intended for light trucks and SUVs, the Cooper Discoverer performs well on many crossovers and cars as well. A great adherence power and rigid design make it perfect for dirt roads. Employing a non-directional tread construction, this all-season tire provides a quiet driving experience. This is especially true when the vehicle is moving in straight motions. It also features a rounded mold profile and rubber rim protector. Not only that this improves traction but also prolongs tread life. That’s why the tire offers better durability and traction in all weather conditions. 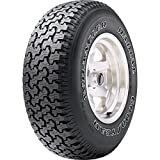 Constructed from dimensionally stable polyester which ensures the tire uniformity, the Dunlop Grandtrek is smoother than other all-season tires in its price range and class. What’s more, it can even play in the same league with higher-end pricey models. It boasts a VersaLoad technology whereby the tire retains stability in various weather conditions. Likewise, the variable tread blocks ensure a remarkably quiet ride. Besides, the powerful adherence makes the tire useful for traction purpose. Given the affordable price, it’s regarded as a good deal. Yes, it is unquestionably a good value for the money. Here’s another amazing tire from Goodyear. Do not think that we want to favorize this brand. We just think that it would be unfair not to mention this model because it truly deserves to be on this list. With 4 circumference grooves, the Goodyear Eagle tire facilitates handling whilst increasing traction adherence in wet conditions. Furthermore, the premium sidewall style adds to aesthetics and modern appearance. With regard to noise, the tire is fitted with a tread block sequence that lessens the noise levels and makes the tire run much smoother. That contributes to the better overall driving experience. The Continental’s PureContact is one of the newest all-season models from this company. It is also one of the quietest tires in its class. With high-quality materials and the latest tire technology that involves an optimized tread pattern, this radial tire reduces road noise with ease. Additionally, it provides year-round performance and superior traction alike. In fact, the construction combines jointless polyamide with two steel belts to improve the durability and stability of the tire. The tire is engineered with increased fuel efficiency and comfortable ride in mind. Note that it is designed for minivans, crossovers, coupes, and sedans. What sets AltiMAX RT apart from the rest is the Acoustic Modulations Sound Technology (AMST). It makes the General AltiMAX more responsive and quiet than average tires. It’s coupled with the reactive contour technology for the best results. When it comes to general capabilities, this tire is designed to meet almost all standard requirements for a good radial tire. That said, it features excellent traction performance in different driving conditions, visual alignment indicators, as well as a replacement tire monitor. As a result, you get a reliable and sturdy tire that fits the bill. If you are looking for an all-season tire that ensures a quiet ride and crisp steering, the Michelin Defender is a good choice. To make the ride as quiet as possible, Michelin has adjusted the tread pattern in such a way to enhance quietness and comfort. You’ll find a polyester cord body and two steel belts inside the tire. Such a construction provides added durability and strength at all speeds. Another admirable benefit you will also reap with this tire is the impressive 90,000-mile tread guarantee. That means a longer treadlife and even tire wear. With new tire models constantly being launched, it is pretty difficult to give specific recommendations and advice. Instead, we’ve put together a checklist of things to consider when selecting tires for your automobile. Here’s your guide to choosing quiet tires. As a general rule of thumb, the smaller wheels generate less road noise. For instance, 15-inch tires are quieter than 20-inch ones. That’s because the larger tires come with more rubber that hit the road, thereby making more noise. In the case of smaller models, there’s less rubber to roll on the road, which reduces the noise level. For that reason, it’s wise to take the car manual and check out what wheel sizes fit your own vehicle. While the larger wheels are visually more appealing for most car owners, you should forego the appearance and concentrate on the overall driving experience instead. After all, only you decide what’s more important – less noise or looks. Tire width has an influence on the road noise in the same vein with wheel size. The narrow tires have smaller rubber area rolling on the roads, which produces less noise. Therefore, we recommend choosing the narrowest models possible for your vehicle. Be sure to look in your vehicle owner’s manual in order to determine how narrow tires can be installed on your vehicle. There’s a diverse range of tire patterns and rubber compositions that give a quiet ride and little peace on your drive home. But how to know which ones are the quietest? Generally speaking, softer rubber compositions are quieter. Some patterns are quieter than others likewise. 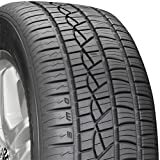 However, it is difficult to draw general conclusions with regard to tire patterns without comparing several different types of tires and judging the relative noisiness or quietness. As a car owner, you may want to do some trial-and-error experiments on your own. Even better, get in touch with industry experts to gather collective insights and opinions. That will give you a better idea of which tires are the best to go for. When choosing new tires for their vehicles, most car owners are inclined to disregard the fact that the tires are differently designed for specific weight specifications and maximum speeds. This is a bit tricky though. If you’ll be driving at high speeds most of the time, make sure to pick tires that are specially created for that. Keep in mind that these tires are notably thicker, which means somewhat noisier ride. Tires designed for lower speeds, on the other hand, provide a quieter driving experience. The tire description may look like this: 205/55R16. The first number ‘205’ is the tire width (205 millimeters), while the second number ’55’ relates to the aspect ratio. The lower the aspect ratio, the thinner the rubber layer rolling on the road. The ‘R’ refers to the radial construction, whereas the last number ’16’ means the rim diameter (in this case, it means a 16-inch wheel size). After this main section, there’s usually an additional identity. It may look like this: 91T. The ’91’ refers to the load index while the ‘T’ is the max speed that the certain tire is built for. We recommend looking for a chart of maximum speed and load index respectively. Be sure to select a tire according to your driving habits and particular load size. The higher load and speed a tire is manufactured for, the noisier it’s likely to be. That’s because such a tire is typically sturdier and harder. Tires intended for harsh weather conditions are usually noisier because of the safety aspects. This being said, winter tires obviously produce more noise. By contrast, summer tires are quieter since they come with fewer safety features. With that in mind, make sure to purchase a tire that fits the weather conditions you’ll be utilizing it in. 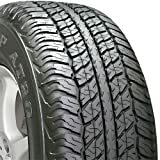 Your best bet would be to go for all-season tires as they rate very well in respect of noise and can be used in both summer and winter conditions. The asphalt smoothness/roughness and road conditions differ widely across the country. So you should find out which tires tend to quietly roll in your surroundings. 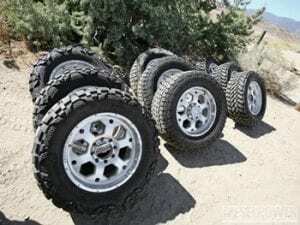 Your choice also depends on the fact if you need a tire for on- or off-road surfaces. For the vast majority of drivers, having the tires that roll down the roads in a civilized and quiet manner is a must. This is particularly important for those who log countless miles cruising along in their vehicles on interstate highways. If you are one of those people who often make long-haul routes, it is critical to find tires that can remain quiet over a long period of time. Noisy tires can completely ruin your driving experience, which is why you should try to find a quiet set of tires. 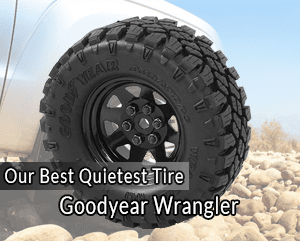 Now that you know which are the quietest tires, it’s much easier to make the right choice. All these tires can bring serenity to driving experience while offering the top-notch durability and adherence. You just need to pick out one that’d be a good fit for your car. Go ahead!